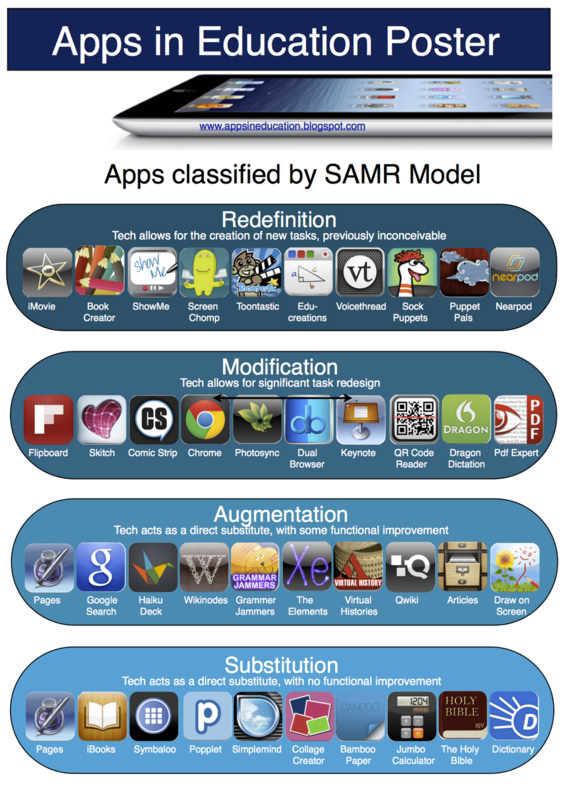 I think it is problematic to classify apps as being in a specific SAMR level. I think the way an app is used is would determine where it lands on the model. I agree. It concerns me that folks might think that simply because they're using an app like "Screen Chomp" that they're redefining their classroom learning. What if all they're doing in ScreenChomp is recording themselves working out math problems? Is that redefinition? I agree. For example, IBook and collage creator are definitely more than just substitutions. True to a degree, but I think this is a great conversation starter! We use graphics like this and another related to Bloom's and apps in a workshop we lead. I agree about classifying apps at levels. It is not the app but the well designed activity that determines the level of SAMR. For example, Popplet and Haiku could easily be taken to the redefinition model depending on how you integrate it in your learning experience with students. 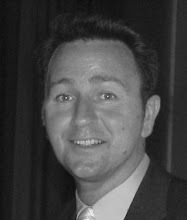 The level of engagement, collaboration and global communication that occurs when using the app determines what level you get to. Another example is iMovie....although it is one of my favorite apps, if a student just makes a movie - it is not at the redefinition level. If they collaborate with others, post it to a global audience and receive feedback on their movie, then it moves toward redefinition. See....its the learning design, not the app. I really like this concept, Interested to know where would you put twitter into this mix? Very informative thoughts ..Keep posting.. This is a really nice example of the concept. Thanks for sharing it. However, do you really feel Popplet offers no more than substitution? How about being able to edit a mindmap - including photos and images from the web - and share it online? Or creating a collaborative Popplet? I don't work for Popplet (! ), but I use it a lot and am preparing a workshop on iPads and the SAMR model, and am curious to know your rationale.